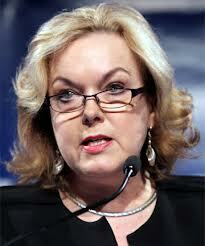 Judith Collins' treatment of Canadian Justice Ian Binnie and his report is disgraceful and is seriously damaging to our international reputation. Her claim that the report is seriously flawed does not hold up to scrutiny and is purely a matter of opinion. Binnie himself had no issue with our Justice Minister disagreeing with his report but her reaction to the findings in the report was highly out of order and lacked fairness. The fact that Collins was publicly critical of the Binnie Report and had employed Robert Fisher to review it without approaching Binnie about her concerns or questioning him about his interpretation of his mandate was patently unfair. Collins had already met with Binnie and questioned elements of fact which were readily included in amendments, it was clear at that time that she had not questioned his interpretation of his mandate, this only came later. Collins has deliberately and calculatedly discredited an internationally regarded jurist who had produced some recommendations that she didn't like. According to Gordon Campbell Robert Fisher is the legal equivalent of the doctors employed to ensure ACC claims are discredited. (ii) Whether the circumstances of his conviction were so extraordinary as to warrant an ex gratia payment of compensation by the New Zealand government. It is important to emphasize, as the Minister’s letter makes clear, that my role is to provide a recommendation not a decision. The question of David Bain’s compensation rests firmly in the hands of the Cabinet. In carrying out his research and investigation Binnie sought wide advice to ensure he had all the evidence available from both sides of the case and that he had advice on interpretations of New Zealand law. He also questioned David Bain extensively as the only surviving member of his family and, although he was also the one accused by the crown, his evidence and responses were crucial to any thorough review. (b) Binnie J went beyond his mandate. He did not have authority to express any conclusion on the question whether there were extraordinary circumstances such that compensation would be in the interests of justice. Nor was he invited to make any recommendation as to whether compensation should be paid. Those errors have been compounded by the publicity given to conclusions on matters which ought to have been for Cabinet alone to decide. (f) Binnie J criticised named individuals without giving them adequate opportunity to respond. As it presently stands, the Binnie Report is vulnerable to judicial review by the named individuals. Steps should be taken to remedy that situation. The fact that these same individuals had already been criticised in past trials and already would have had opportunities to respond was not mentioned and Collins seemed to have ignored those very same rights in relation to Binnie himself. In Fisher's opinion Binnie should have only focused on the likelihood of innocence based on the evidence and should have not questioned the manner in which that evidence was collected or the quality of the investigation. If one is to look at whether compensation is owed by the state I would have thought that in fairness to David Bain the quality of his conviction and his treatment by the state should also be considered. Fisher also question the way that Binnie evaluated each piece of evidence individually rather than looking at the quantity of evidence. This approach would be unfair to Bain and supportive of the crown as that was the method used to convict him in the first place. The quality of individual pieces of evidence is important because if they don't stack up individually then their collective importance can be questioned. When taken collectively there is a danger that they may be given more weight then they deserve because then individual elements will acquire validity only because of the existence of the others. The bloody footprints found around the house were obviously left by the murderer, yet much of the other evidence was circumstantial, so that proving that the foot prints belonged to David was crucial. The fact that there was serious doubt that they could have been made by David made the other evidence weaker. In many prosecutions, including that of Ewan Macdonald, the quantity of evidence is used in an attempt gain a conviction when few of the items actually held up to individual scrutiny. In this case the diving boot prints provided the most crucial evidence as they were the only link to MacDonald's presence at the scene, when they didn't fit the rest of the case fell apart. Binnie responded in detail to Fisher's report in a "confidential" email and he was obviously working under pressure of time as the public criticisms of him were flying thick and fast. The fact that his email contained typos was used to discredit the content. An emailed response can hardly be regarded in the same light as a published report and it was a low tactic to question Binnie's competence and the value of his response because the caps lock was sometimes accidentally left on and the odd letter missed. It was bad enough having respected scientist Mike Joy discredited because he dared speak publicly about the true state of our environment, but to treat a respected authority from another country so badly for presenting something in good faith, but contrary to the Government's agenda, is appalling and embarrassing. Our international credibility is slipping by the day. I don't always support Bob Jones' views but I think in this case he sums things up fairly well. bsprout - you spoiled what might have been a readable story when you wrote "According to Gordon Campebell...". Campbell is anything but a neutral. What was Collins supposed to do; submit a flawed report to Cabinet, and run the risk of a judicial review as Hekia Parata did? KS, Binnie provided neutral legal perspective and came up with a similar conclusion to the Privy Council. Collins didn't like the recommendation and approached Fisher, who by any stretch of the imagination could not be called neutral, to provide a counter view. You may not agree with Campbell's political leanings but the information he provided regarding Fisher was factual. Like Key himself said in the notorious BBC interview "I can always find a lawyer to provide a contrary view". Collins did just that, she wasn't interested in an honest review, just one that provided the "right" conclusion. Judith Collins has my support on this and the Justice who reviewed Binnie's hopelessly-flawed 'expert' opinion which was based on Bain's pals' opinions, not on the facts, deserves the 'roasting' he got. Pity we wasted money on his views. Bain is not innocent, a jury (who were swayed by anything but credible notes found he was not 'guilty' on the balance of probability, he was not found innocent and much credible evidence that might well indicate his guilt, was - ignored. It would be a travesty if David Bain (whose own relatives ostracise him) got any money from any government. Pay out the deserving RSA survivor Susan Couch please and leave Bain to wallow. What is seriously damaging to our International reputation is the unclean state of our waters, the existence of widespread child poverty, poor housing, sexual abuse stats up 3.8% when other crime is going down (apart from alcohol-related mayhem)a tad and our inability to protect endangered species. Jules V, Perhaps you could argue the individual aspects of Binnie's conclusions and his rebuttal that you don't agree with, rather than just repeating the propaganda. Fishers report was pure opinion and was largely based interpretation and implication rather than specifics. Most of his criticisms were easily answered by Binnie in his email. Also the main intent of my post wasn't to support those conclusions but to deplore the way Collins attacked the messenger. No matter what Binnie's recommendations were he had provided the report in good faith, is an internationally respected jurist and the treatment he received wasn't fair or just. Collins treatment of him was despicable! Anonymous-agreed, rather than gold, everything this Government touches turns into fertilizer...that's why dairying is just about the only industry surviving and everything around us seems to smell rather badly. Rivers, poverty, manufacturing, ACC, Novapay, bank profits, asset sales, Sky City, TPPA...it all just stinks.